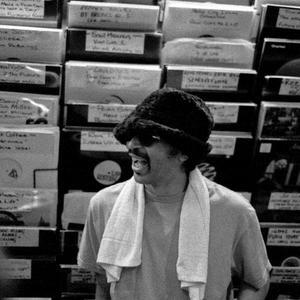 Moodymann / Moody is the moniker under which Kenny Dixon Jr produces and DJs. He is a techno/house musician based in Detroit. He has created a thoroughly hybrid form of techno/house dance music via his innovative use of reworked riffs, samples and grooves taken from that city's historically influential jazz, soul, funk and disco scene. Some call it cut-up Detroit house. He offers a friendly wink backwards at the innovative early 1990s rave scene musicians through his extensive use of old movie sound track samples, mainly culled from the old blaxploitation and b-movie genres. He offers a friendly wink backwards at the innovative early 1990s rave scene musicians through his extensive use of old movie sound track samples, mainly culled from the old blaxploitation and b-movie genres. He has been known to DJ behind a screen. He is a member of The 3 Chairs. Owner of KDJ Records & Mahogani Music.